Facebook has announced a new policy that should cut down on a lot of spammy garbage from your timeline. Going forward, all posts that ask users to engage with them in any way will be demoted and buried out of view. Spammy posts that goad users into interacting with likes, shares, comments, and other actions. 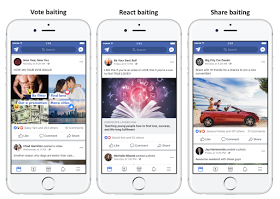 For example, “LIKE this if you’re an Aries!” This tactic, known as “engagement bait,” seeks to take advantage of FB News Feed algorithm by boosting engagement in order to get greater reach. 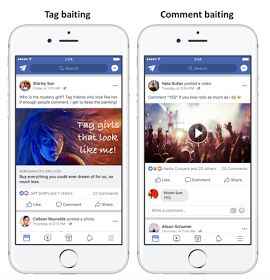 So, starting from this week, Facebook will begin demoting individual posts from people and Pages that use engagement bait. Facebook is currently giving a warning period to publisher’s time to adapt and stop their engagement baiting techniques before rolling out the changes. Pages who continue to do so will see significantly reduced reach for their posts and eventually the entire page itself.